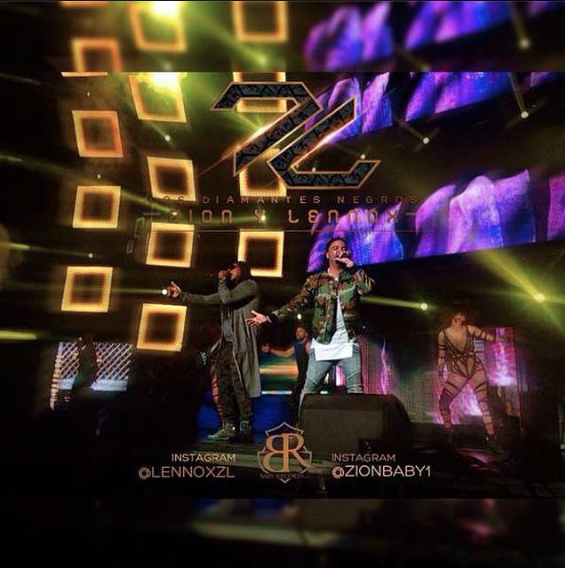 Zion y Lennox, the hit Reggaeton duo from Puerto Rico, stopped in Miami on the first leg of their U.S. Motivan2 tour. The Reggaeton singers have been performing together for more than a decade and are now working on a series of new projects, including a few surprise collaborations as well as concert appearances in SBS Entertainment’s Miami Bash 2015 and Mega Mezcla 2015 in New York. 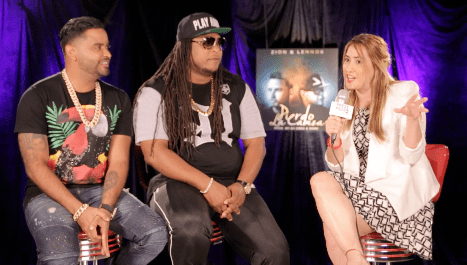 Zion y Lennox have also been touring heavily in their homeland and recently performed in “El Coliseo de Puerto Rico” to more than 20,000 screaming fans. “La Z y la L” have also traveled to Central and South America and have been performing extensively in a variety of different countries in promotion of their latest hit single “Pierdo la Cabeza”. “Pierdo la Cabeza” has been playing on radio air waves all across the U.S. in cities like Miami, New York and L.A. and has already started to top several music charts. “We’re feeling really good and really proud of all the love that people have given us,” said Lennox. “P-I-E-R-D-O!” teases Zion, joking about Lennox’s slight accent. “We’ve been really blessed and it’s such a great feeling, we’re really happy and just working to take this song [Pierdo la Cabeza] to the next level,” said Zion. Despite seeming to be more unified than ever in their careers, Zion y Lennox did take a short break a couple of years back to work on solo projects. Zion worked with singer Akon on a few songs in English and Lennox teamed up with Reggaeton star Arcangel to produce a few singles as well. But now Zion y Lennox is back, bigger and stronger. And while many other Reggaeton duos in the Urban music industry opt to pen songs about drugs or money, Zion y Lennox stick to the topic they claim to know best: Love. “Because that’s what we do, we’re always motivating all the girls!” said Lennox. “Yeah, just spread the love!” chimes in Zion. The two have no qualms about admitting that they consider themselves modern day Romeos. “I mean we might be,” laughs Zion. “I’m the Romeo!” said Lennox, who also said the idea of a modern day Romeo was inspiration for a song he worked on with Daddy Yankee. Even so, the Latino lover boys have little time for personal relationships these days. They’re all caught up with the Motivan2 tour and traveling to more cities than they can count on two hands. Zion admits, however, that his least favorite part of being on tour is traveling by plane. Zion y Lennox’s Motivan2 album will drop this summer. We’ll keep you posted about any further details about Zion y Lennox, their music and upcoming projects.